Some time ago I read the following words of an adult man: "Darling, please, do not present me with a toilet water and the underwear! Please, present me with the radio-controlled helicopter!" We all know, a lot of adults enjoy collecting different toys and playing. The favourite toys of men are automobiles, toy soldiers, robots; women prefer dolls, angels, soft toys, etc. 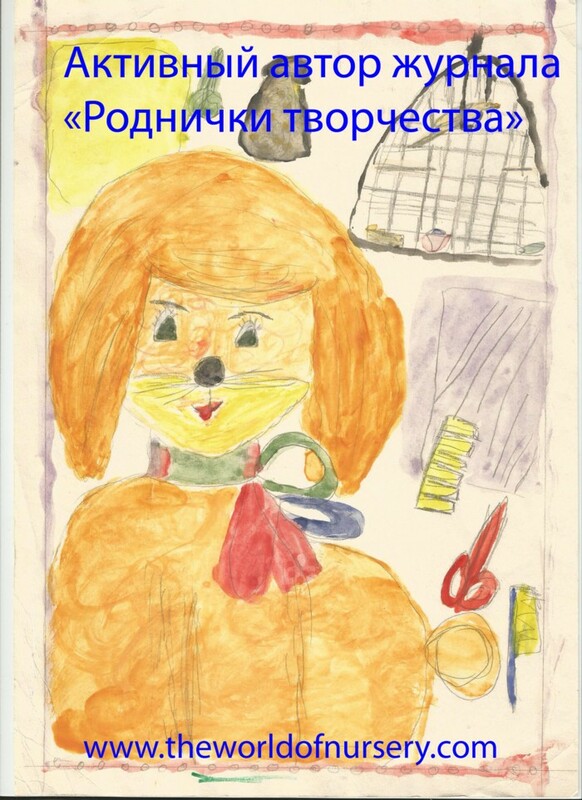 However, if we talk about children, we can meet with the situation, when parents, teachers, peers say: "You are not a small child to buy this toy!" or "It is a shame to play dolls when boys already pay attention to you!" The boy has received the gift - nice toys - the model plane and the toy jeep (about which he dreamed). He hesitates: "I do not know how to go home with this toy; a lot of people are in the street. And I am already ... years old". The girl, who is dreaming of "family" for a Barbie doll, worries that she will attract a great attention with this purchase. 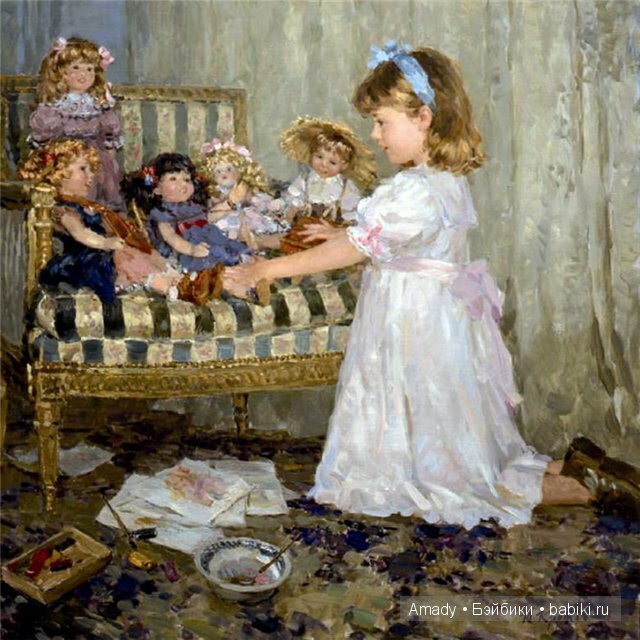 Her desire to sew and knit for dolls is sometimes “condemned” by peers: "You are already in … grade and you are still playing". Krotov Yu. N. "My Dolls". Children often hear such estimations. There is an impression some adults try "to separate» the child from the toy or from play completely as soon as possible. Teenagers have the “feel of shame”: they still want to play as it was in the early childhood. Some of the children suffer from this feeling. The time and possibility to play are also influenced by certain factors of socialisation of the child. The boy who studied in the fifth grade has complained:"I don't have time to play with my toys (Lego, robots, and automobiles). I constantly dream of it". The childhood institutionalisation, especially in big cities, reduces the time for play (for unstructured free play, based on the wishes of the child). Children and teenagers have lessons at sport, art, music schools and sections etc., but the road to school can take several hours. time for study has increased twice. 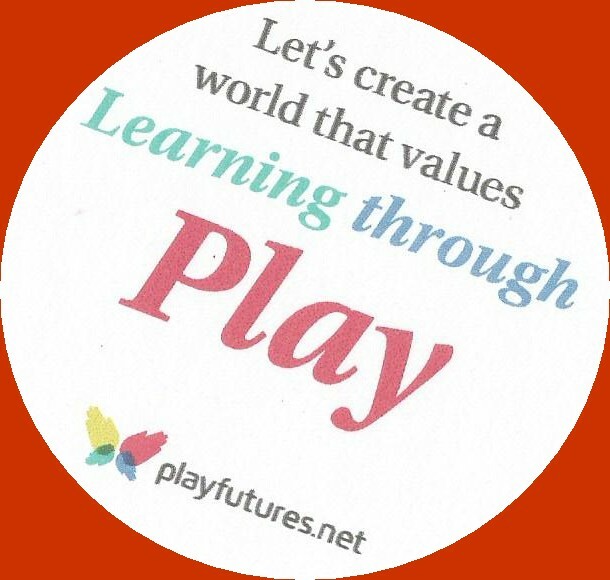 Therefore various activities which take place in the different countries and worldwide can help emphasise the value of play: "it isn't a shame to play". 1. Earlier at the schools of Russia. the following tradition existed (this tradition remained at some schools): the children who were finishing schools were going to schools with their favourite toys, with pacifiers, etc. (it were the last days of lessons). And nobody laughed at them. It was so lovely when girls and boys, for whom it were the last school days, sat at school desks, and soft toys, dolls, automobiles and toy soldiers were with them. 2. Since 2015 the annual Global School Play Day is celebrated. 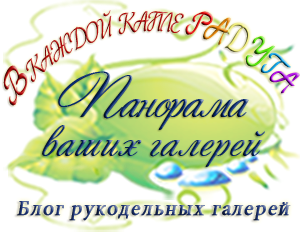 In 2017 it will take place on February 1. In 2018 - on February 7. 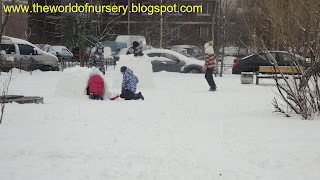 Its main sense is the support of unstructured children's play. Organisers offer teachers and all who work with children to register (http://www.globalschoolplayday.com/), to ask the students to bring toys (everything, except devices, gadgets, etc.) and to play with them. "Don't organise anything for your students. Don't interfere with your students unless you see something that could get you fired or would physically hurt a child (this does not include something that may be physically uncomfortable for a child.)" It is the day of play which children control. After the day it is important to share your own impressions and impressions of the pupils, using a hashtag #GSPD2017. For 2018 -#GSPD2018. As it is a school day, the play of children of different ages is allowed. 3. The international organisations, children's TV channels constantly organise the international and world days of play. Their purpose is not only to limit screen time. The celebrations of these days support the Article 31 (right to play) of the Convention on the Rights of the Child. In the priority of these days is an unstructured free play of children of any age. It also helps to strengthen the friendly relations of children of different ages. 4. Some parents write and say they try to allocate special days for all family when children make all lessons in advance, and adults finish all household work in advance to play all day together (but not computer games). The organisations and scientists suggest bringing in the schedule of families play day when you play together, or the child plays all day as he/she wants. 5. Blogs also have a great value and influence play life of children. Demonstrating play of children of different ages on the web pages of the Internet, it is possible to emphasise: to play (including with toys), to think out and imagine something new is possible at any age. 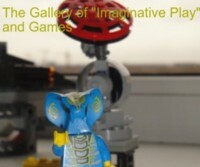 Join our Gallery of Imaginative Play and Games! 1. Teach a Child to "Fly". 2. Do Children and Adults Have the Identical Perception of a Concrete Toy? 3. Pay Attention to the Play of Young Children.